Anti-Seize is utilized in application where liquid based lubricants would otherwise break down, such as extreme high temperature applications. Rust, corrosion, seizing and galing can be prevented or minimized by utilizing Anti-Seize. As the name suggests, Anti-Seize prevents the seizing of parts. There are several types of Anti-Seize containing combinations of solid lubricating agents. 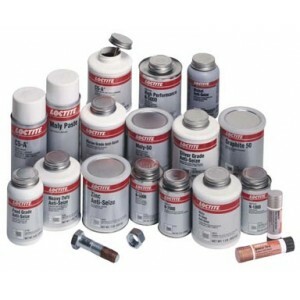 Different Anti-Seize products utilize compounds such as copper, graphite, zinc and metallic flake to provide protection. Anti-Seize can be used on metals such as steel, stainless steel, aluminum, brass and copper and is available in either jar or stick form. Please contact a Bearing Service representative to recommend the right Anti-Seize product for your application.